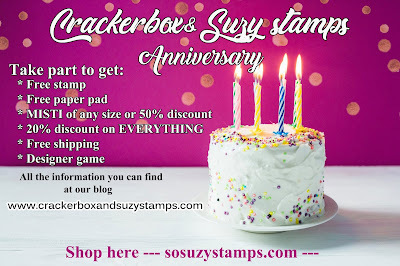 It's Crackerbox & So Suzy Stamps anniversary month and that is a good reason to celebrate. And you know what that means, right? 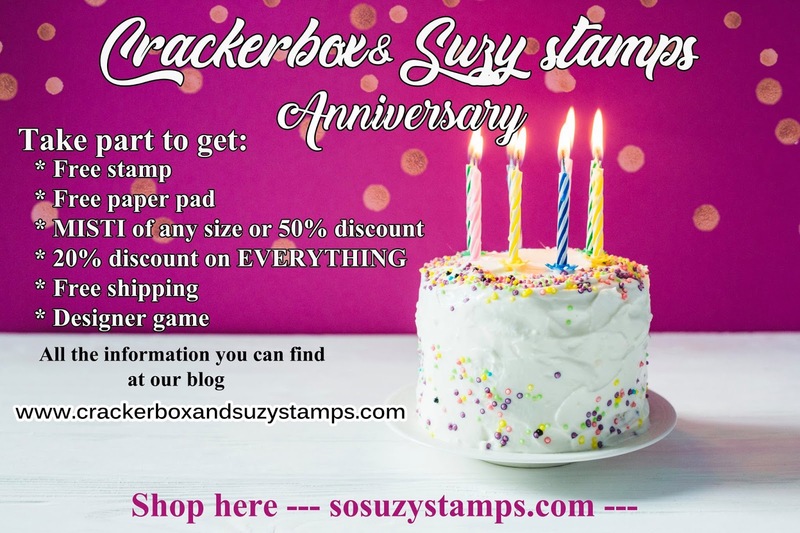 Generous discounts, a possibility to win and FREE SHIPPING! All the details are listed below. 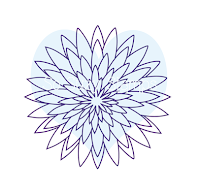 I recently learned a new technique - the idea is from Hein Design and thought I share that with you here. You take some dark card stock and mask it with Post it tape or whatever you have at hand. Take some acrylic paints and a small sponge and sponge the paint in alternating stripes onto the card stock. Make sure the stripes overlap. I liked it so much, I made a second card using different colors. --Every order gets put in a drawing for a Reg. 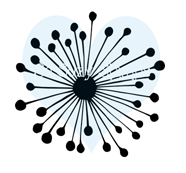 MISTI, or a Mini MISTI, or a $50.00 gift cert. at the end of the month. There will be 3 winners. --Different stamps will be on sale at random for 50% off until they last. 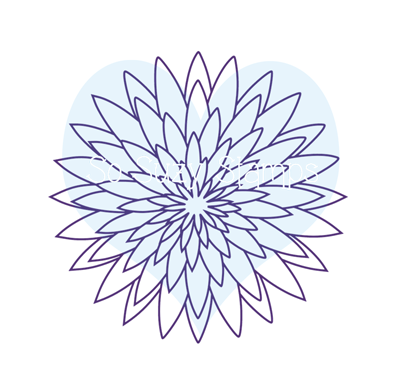 Don't forget to email your guess on what designer made this beautiful card!